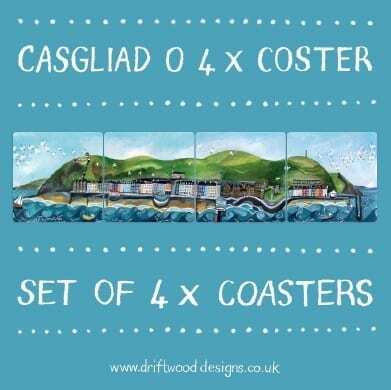 The coasters have a panoramic view of Aberystwyth sea front. Perfect for brightening up the coffee table! Coasters are cork backed and measure at 10cm square.